It’s true that social media is our new method of communication. However, to make sure online communication is healthy, parents and other adults should be aware of what children are doing. 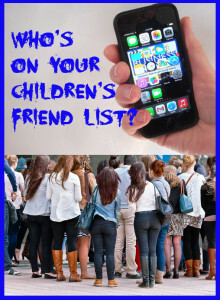 Realize that children are using these social media sites at ages where they are incredibly impressionable. Most of these children do not understand the implications of personal privacy. Parents, grandparents, aunts, uncles, older siblings, teachers, guidance counselors and other individuals can make a positive impact and help children learn the right way to deal with social media. Open discussions with children about social media can empower them to develop their own respectful online presence.